I will be using this as my regular foundation now! It was a little dark that was my mistake. But I truly LOVE THE COVERAGE you get, never have I ever felt so beautiful an covered, flawless! Trying a bit lighter an I seriously cant wait! So in love!!! The L'Oreal brand always delivers. I use the infallible liquid makeup with SPF 20 and the new 18 hr. coverage #604 (Natural Ivory). The #604 shade is perfect for me but they have shades to fit any skin tone. The make-up goes on smoothly and lasts all day. Infallible Advanced Never Fail Makeup lives up to its word. The container is 1 oz. and I use daily. 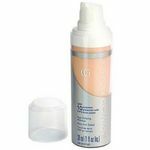 The makeup goes on so smoothly that you really do not use that much so one container lasts several months. I have been using since they first came out with the Infallible and I am extremely happy with the results. The finished look comes close to an airbrush look without the airbrush. My skin is dry in places and yet the makeup covers up the dry and not-so-dry areas with the same even tone. I am 55 years old and having been using some type of foundation since I was 15 years old and I must say the L'Oreal Infallible is my favorite. The cost is more reasonable than many other brands and yet gives a superior look in my opinion. You will not be sorry trying this makeup!! 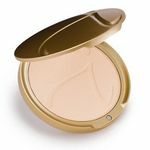 After going through a myriad of foundations, including all the powder mineral ones, I thought I would try this, and am VERY pleased with it, BUT, only when I also use the Infallible Never-Fail Pressed Powder on top of it... 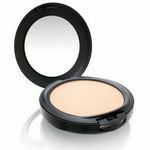 It stay on really well, and even though I don't use it alone, I like how it fills in the wrinkles pores, actually prepping it for the Powder. I think I am done looking, and did not end up having to pay a fortune!! That's my nickname for this product. I have been wearing makeup since I was young, and for almost 15 years I had the worst time trying to find the best foundation. I knew I needed it because 1) I am not a big fan of my freckles (although I'm probably the only one I could think of that isn't) and 2)I used to have bad skin; only recently has my hormones decided to give it a rest. However, back to the matter at hand. L'Oreal Infallible Never Fail Makeup lives up to its name. It covers blemishes excellently, has a velvety smooth finish, and if you know your colors it matches quite well. I usually purchase one close to my winter skintone and one darker for the summertime and it is great. It lasts for hours, doesn't cake, dry out, or feel gross, and if it gets a tad shiny, I can just lightly sweep my fingers over it and it goes back to regular finish. If you're lucky, some stores may offer it at buy one get one free, that's when I stock up! Thumbs up, I hope this stays for a very long time! Check out the photo of a normally freckled face, un-Photoshopped! I have Classic Ivory of L'Oreal Infallible Advanced Never Fail Makeup. My skin tone is pretty light and I tend to like to go just a little lighter for a brighter complexion. I bought it initially because it sounded like it would be perfect especially for summer weather. It says that it can withstand heat and humidity and other elemental factors. I bought this during the summer hoping it would do just that. Its not bad. At least it doesn't look like its melting off. I should add in here I use this with L'Oreal Infallible Advanced Never Fail Powder. The problem I do have though is that I tend to get shiny even when I don't feel I am sweating very much. I don't really tend to sweat excessively. I could never understand why with both the make up and powder I still get shiny. Also, unless you blend it really well, its easy to leave patches or edges unblended. Its not that I'm terrible at blending. I think the consistency just requires more vigorous blending. I started using a sponge and that helps more. My other complaint is the bottle. I thought I would like it at first, and I even know to run the nozzle underwater if it starts to back up. Even with doing that, I've had times where its shot out onto clothes, despite that I was not pointing it at myself. I could not get it out of my shirt, I tried spot treatments, soaks, etc. I would recommend that you point it completely down, push the pump slowly and keep your hand close. Ultimately, this make up is not terrible, but it wasn't all that I hoped that it would be. Infallible foundation from L'oreal can't be beat. Infallible foundation is a wonderful product. I have used other products (less expensive ones) and know why they cost as much as they do. They do not meet the quality and long-lasting response that Infallible foundation has. The one thing every human being every day shows off to the world is his or her face. It is important for me to look and feel comfortable with the foundation I apply on my face. This foundation has done wonders for me. When I put it on it dries quickly that it almost feels like I don't have any foundation on. The color tone options are a great variety that one is more likely to most definitely find a perfect color match to one's skin. After using Infallible foundation I have yet to find another foundation with the same quality. I also love that it is also protecting my skin from those harmful rays that can damage my skin. 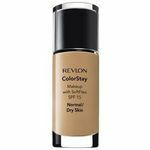 The SPF 18 sunblock is another reason I bought and am satisfied this foundation serves more than one purpose. One down side is because of the push down button option I have accidentaly over-squirted some on my shirt and I longer was able to use that shirt. Please press the button down with care and ease to avoid any accident. 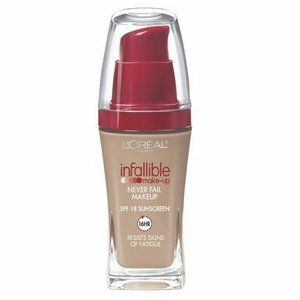 For those of you who are looking for and needing an excellent full coverage foundation, look no further than L'Oreal's Infallible foundation. Coming in a wide array of skin tones, you are almost assured of finding a match for you. 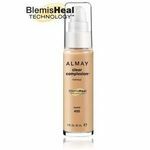 This product is wonderfull for those of us who do not like the sheer or lighter wearing foundations. Also, this would be good for imperfections such as acne, scars, under-eye circles etc. It has SPF 18, and lasts up to 16 hours!!! And in my humble opinion it does not feel "make-upy" at all. What more could you ask for. And the price is also quite agreeable. As you won't need to replace it very often. A little of this foundation goes a looong way.